We have some outstanding members who are tremendous tennis players and supporters of ACTC. On this page, we are recognizing their accomplishments and contributions to tennis at ACTC and in the broader community. 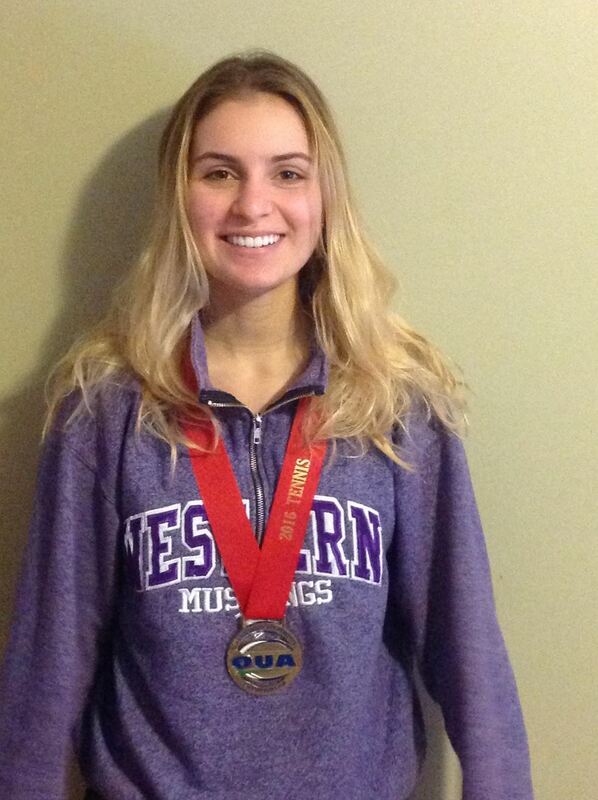 We are very pleased to report that an ACTC member Stella Iankov has won the Ontario University Championship as a member of Western University where she is a sophomore in Neuroscience. Stella plays in our Monday night House league. The Canadian University Championships will take part during Rogers Cup in August 2017. We extend our congratulations to Stella and her family. Many of you know Stella’s father Nik who is a very active member of ACTC. I'm pleased to announce that our ACTC Ladies B2 team has won the B2 Division Championship. The final Inter-county championships was played at the Aviva Centre, home of the Rogers Cup. Our Ladies B2 team beat Markham with a convincing 9-3 score. Nancy Beatty, the team captain told me the team worked very hard this year and had a lot of fun together. Winning their Division earned them the right to play in the Aviva Tournament. She said "everyone on the team contributed to their Division win. Without everyone contributing, we might not have won our division, which earned us the right to play in the Aviva Tournament".